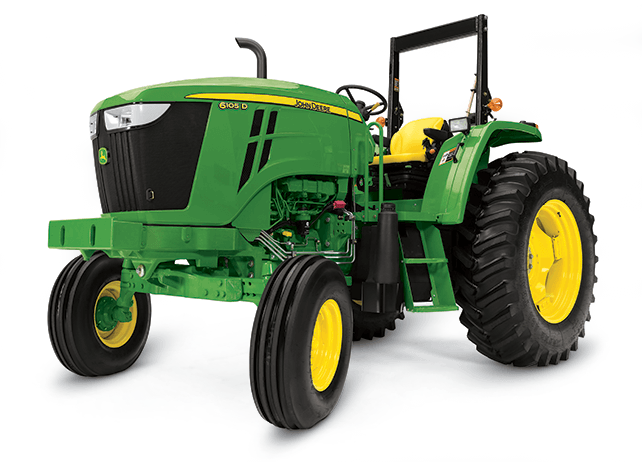 The 6105D is the easy-to-use, economical tractor built to take on tough chores around the farm, ranch or worksite. From the PTO that you can change from 540 to 1000 RPMs in less than 30 seconds – with little mess – and the global carrier that makes attachment changes a snap, to the easy controls and low cost-of-operation, you’ll have everything you need. And nothing you don’t.